It is too early to say weather Ukraine could become a member of the European Union, Slovakia’s Foreign Minister Miroslav Lajcak said Monday. “Neither Ukraine is in the position which would allow us to talk about its [EU] membership, nor the European Union is ready to talk about it. But it is important for Ukraine to adopt the European standards, use what it receives as part of the Eastern Partnership program,” Lajcak said, as quoted by the Teraz outlet. Answering a question on whether the process of Ukraine’s integration with the European Union could be extended over an unspecified period, which is the case with Turkey, Lajcak said that the European Union expressed commitment to Turkey which the bloc was not capable of fulfilling, and that the fulfillment of obligations by Turkey as part of the deal was a question. 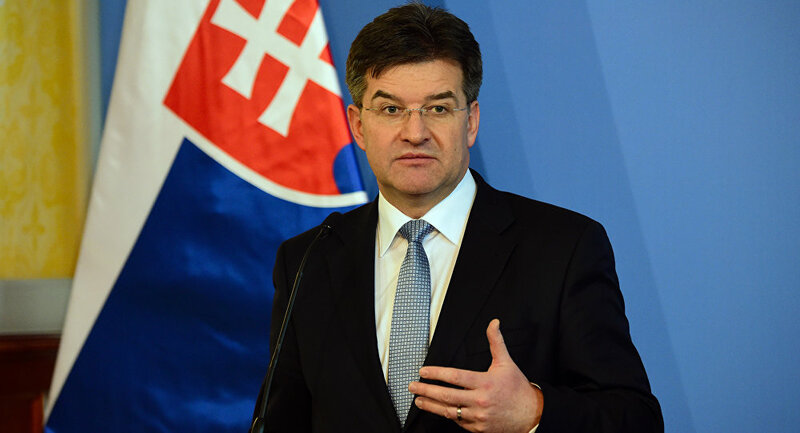 “The European Union is now acting a lot more carefully, that is exactly why it does not give such promises, and will evaluate its partners particularly in terms of their behavior and the way they can be useful in contributing to the European Union project,” Lajcak stressed. Ukraine has been striving for integration with the European Union since 1993. As part of Ukraine’s efforts to that end, a dialogue on visa liberalization was launched in 2008, after which the EU proposal on an action plan for Kiev was introduced in November 2010. The European Commission confirmed that Ukraine met all the necessary requirements for visa liberalization in December 2015, and on April 6 the European Parliament approved the introduction of the short-stay visa-free regime for Ukraine.